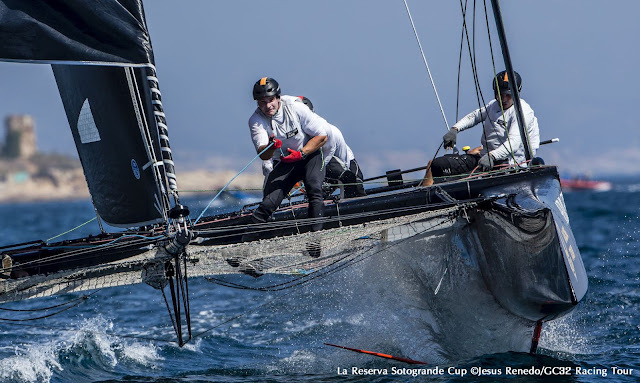 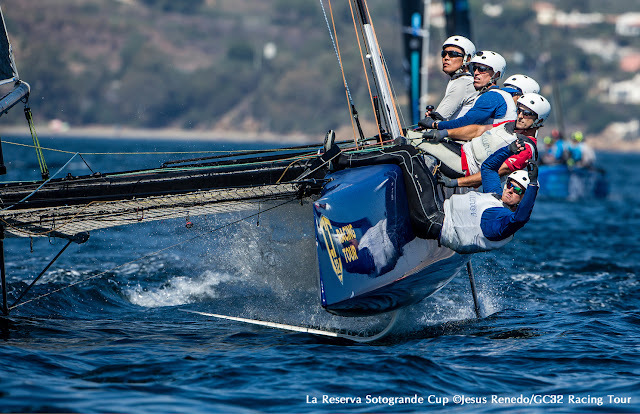 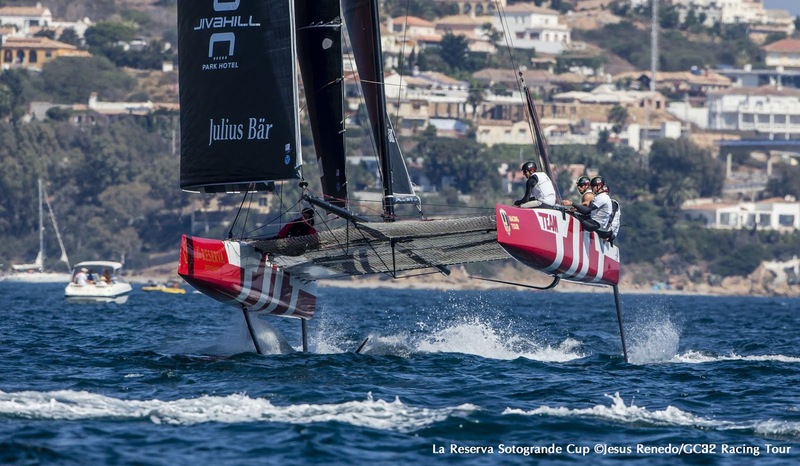 link to GC32 videoSébastien Schneiter celebrated his 21st birthday in the best way possible, the Team Tilt skipper winning two of the three races held today at the GC32 La Reserva de Sotogrande Cup. Two boats jumped the gun in the next start, ARMIN STROM and Malizia – Yacht Club de Monaco ordered to slow down and take their penalty by the umpires while the fleet sailed past. Trouble was, Malizia failed to slow down in time before the first turning mark and was black flag disqualified, forced to watch from the sidelines as the rest of the fleet sailed on. 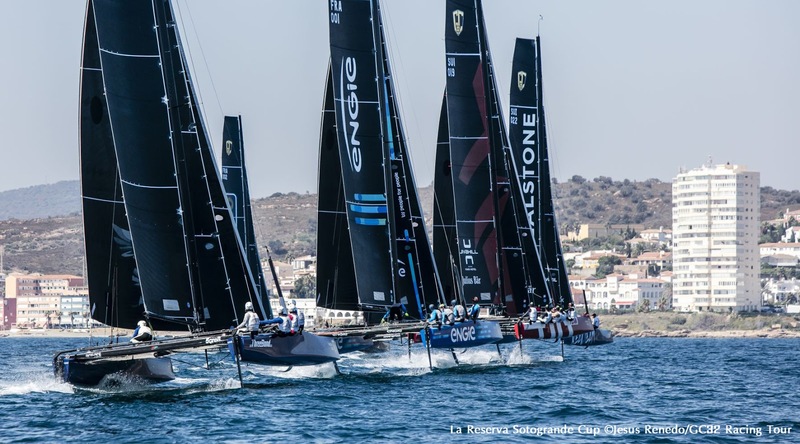 After a poor start, Schneiter weaved his way through the pack and took the lead before the finish, winning his first race of the regatta. 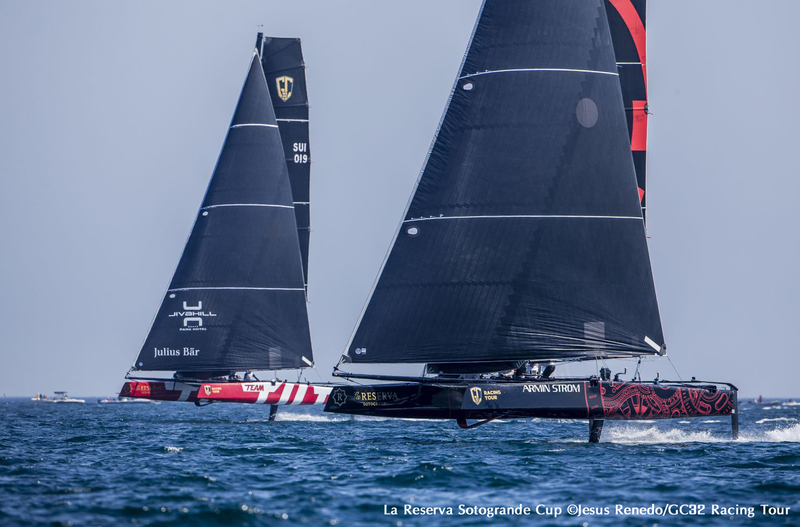 NORAUTO had held the early lead but uncharacteristically was unable to keep the other boats at bay, being passed not just by Team Tilt but two other Swiss crews, Realteam and ARMIN STROM taking 2nd and 3rd respectively. 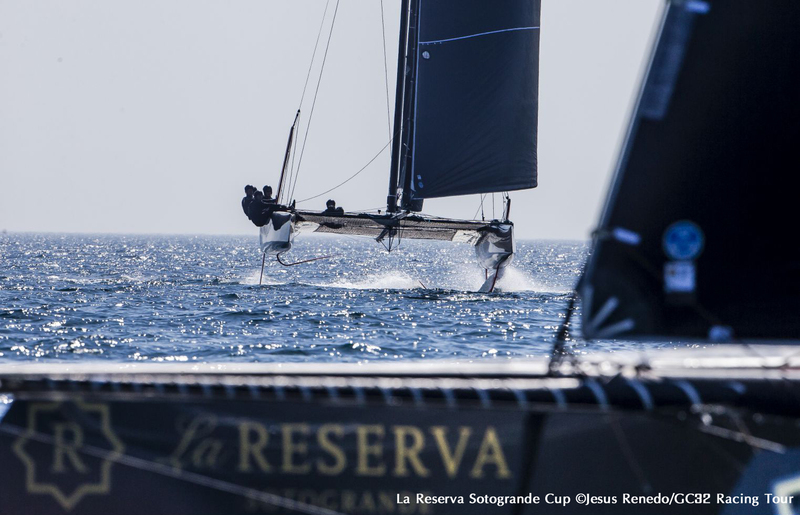 The forecast for the final day’s racing is 10 to 11 knots from the west, which promises a thrilling showdown for the GC32s in Sotogrande. 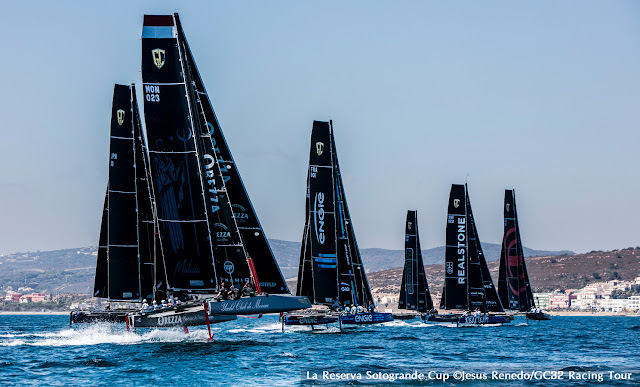 Sunday's racing begins at 1300 CET.